Ballast on the Baltimore & New York is a mixture of dark and light gray roofing granules. 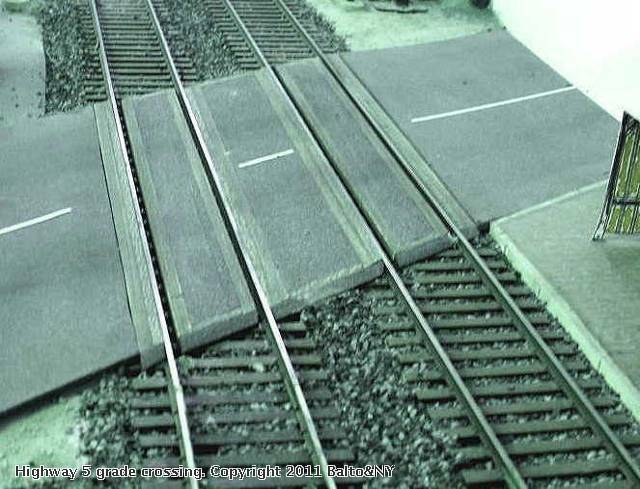 The surface of hte grade crossing (built to B&O standards of 1948) is made of heavy poster board sprayed with Rustoleum black textrure piant. The wood parts are milled wood strips fitted over the track ties and beveled for flange clearance. They were stained with dark oak Minwax. very nice roadwork. i use a similar method using the rustoleum black texture paint and roffing granules. 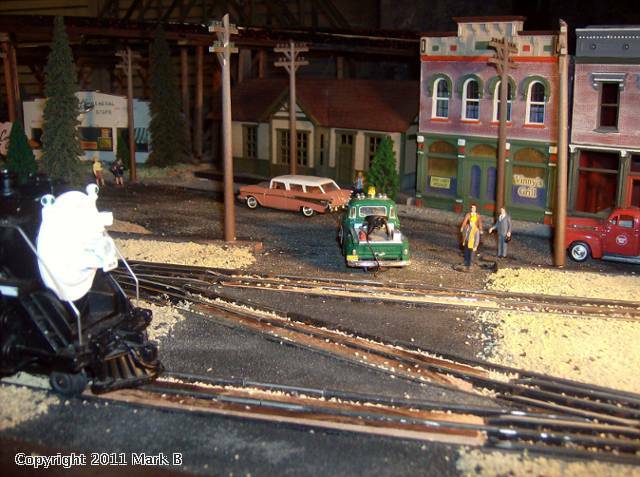 i always find that this part of a layout makes a real difference and adds depth to a town or industry. if you go slo it comes out good. here is ashot of my grade crossing. i'm waiting to buy the appropriate crossing signals which will be a nice addition.